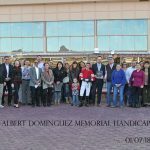 The extremely sharp Shining Source won his second straight stakes of the young meet with a commanding win in the $85,000 Albert Dominguez Memorial Handicap at Sunland Park Racetrack and Casino on Sunday. 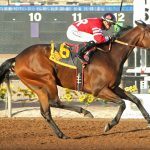 Coming off his powerful win in the $85,000 Johnie Jamison Stakes going six and one-half furlongs on Dec. 17, Shining Source seemed to relish the 1 and 1/16 miles even more. 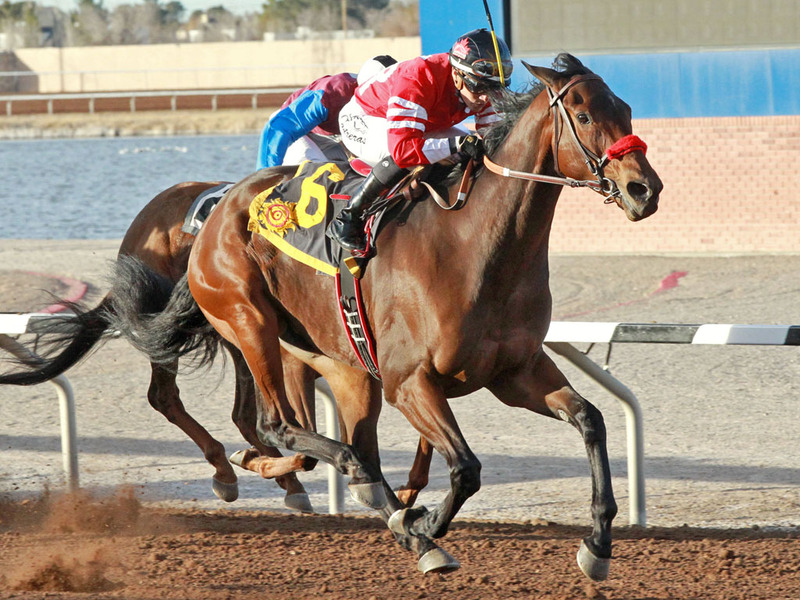 Under jockey Luis Contreras swept by all rivals coming from last to first in the New Mexico-bred stakes race. The 4-5 favorite launched his potent 6-wide bid and took command of the race in upper stretch as Thunder Dome and He’s Another Who battled away for the minors. The seven-year-old gelded son of Source pulled clearly nicely to win by 1 ad 3/4 lengths in a time of 1:43.35. 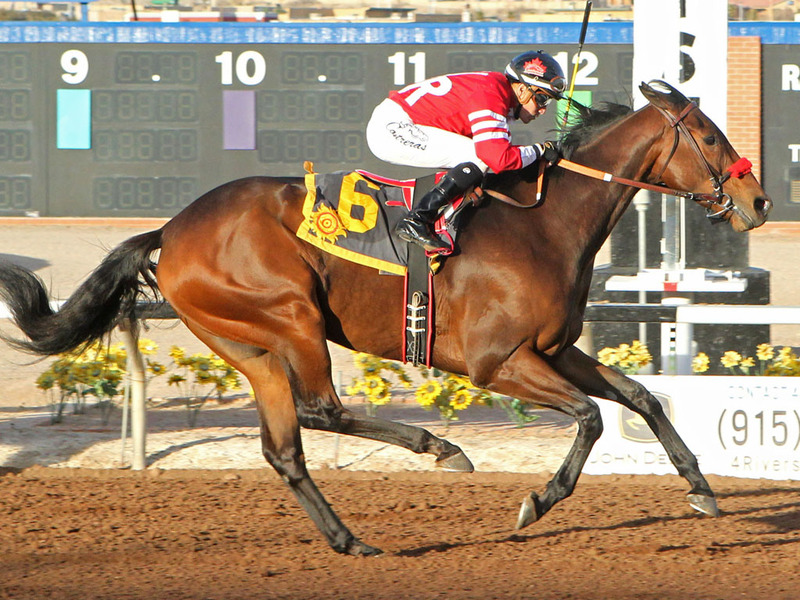 Shining Source collected his 10th career win and took home $51,000 for owners the Barton Ranch and Blake Rust. Trainer Blake Rust has turned this terrific gelding into one of the top New Mexico-bred Thoroughbred stars in training. The multiple stakes winner has earned over $403,000 in his career. 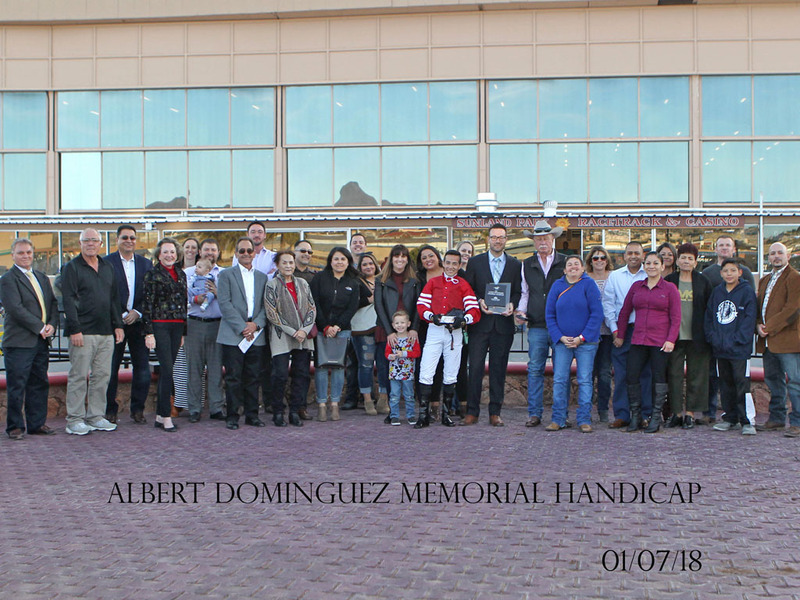 In less than a year, Shining Source won 4 stakes races in New Mexico including the 2017 NMSU Handicap. Thunder Dome ran a very courageous race in his second attempt around two turns. The Dallas Barton trainee set the pace and fought grudgingly through the stretch drive. Under jockey Alfredo Juarez, Jr. the son of Dome ran second, finishing three parts of a length in front of He’s Another Who. 2017 Red Hedeman Mile winner Hute never found his top gears and wound up fourth.